This unit was purchased in 2003 with funds from the Assistance to Firefighter's Grant (AFG) courtesy of the United States Fire Administration. The trailer is a mobile classroom containing stadium style seating, and a full compliment of audio/visual equipment, including exterior public address system. The trailer has a fully functional kitchen, including a working sink and stove. It has a working fireplace simulator, a fire alarm and smoke alarm system, and hearing impaired smoke and fire alarms. It features a bedroom with ducted smoke simulations at various levels and amounts, a heated door, and window escape ladder. The trailer has a control room for an operator/observer, as well as a 911 simulator. 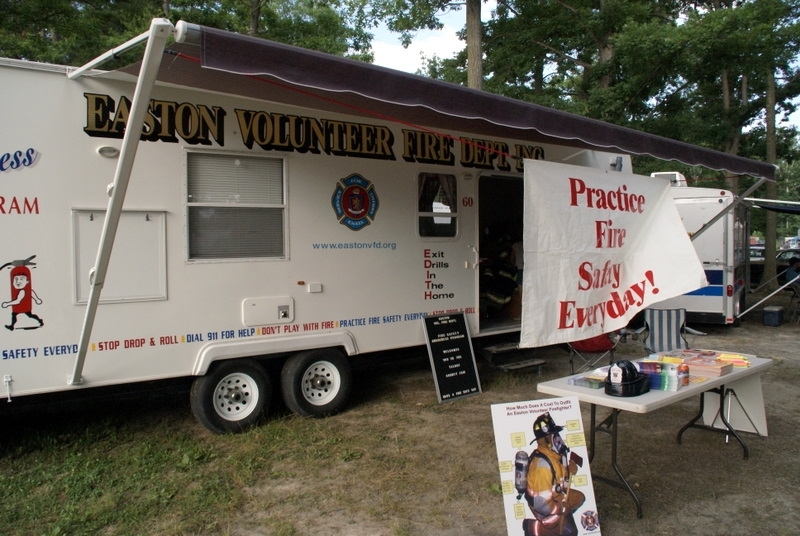 This mobile classroom is utilized throughout the Eastern Shore of Maryland at public events, fire department open house functions, carnivals and fairs, as well as schools. It is available by request. Contact 410-822-4848 to request this unit at your event.